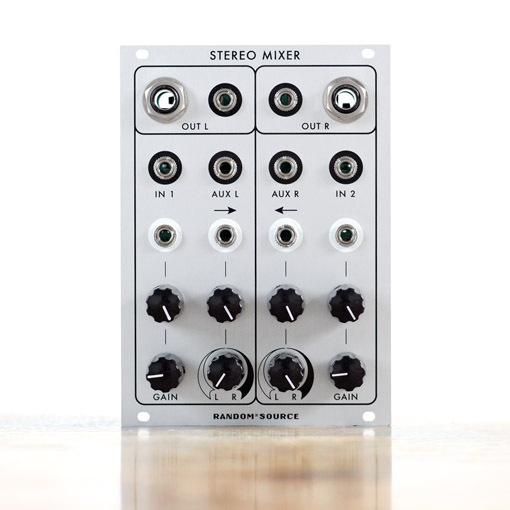 The Stereo-Mixer is a 2 input, 2 output equal-power panning mixer designed combine the sound of the famous Serge VCAs with the most audiophile parts available today in a special edition for Eurorack - NJR Muses op-amps and THAT2180 VCA chips. The module has 2 independent input channels (with attenuators) that can be Stereo panned between the 2 outputs. Each channel's gain is controlled by a gain knob and as Gain CV input (with attenuator) which allows to go into massive overdrive with a very organic sound. There are also two AUX inputs that allow signals to be routed in at unity gain. 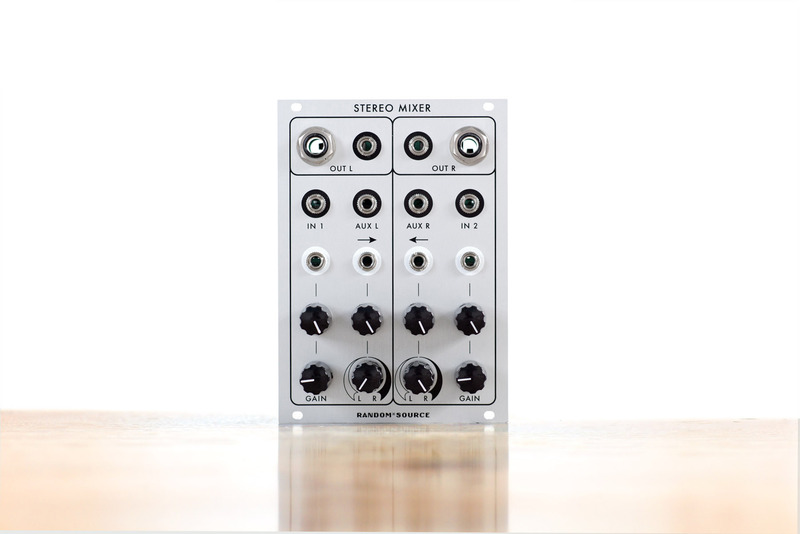 Both panning and Gain CV inputs have been designed to handle audio rates, making the Stereo Mixer a very powerful waveshaping and droning tool. Two Aux inputs can also be used to chain mixers. The output is available at a pair of banana jacks as well as (6.35mm / 1/4") TRS jacks (phone connectors) for connecting to external amplifiers, ADCs etc.